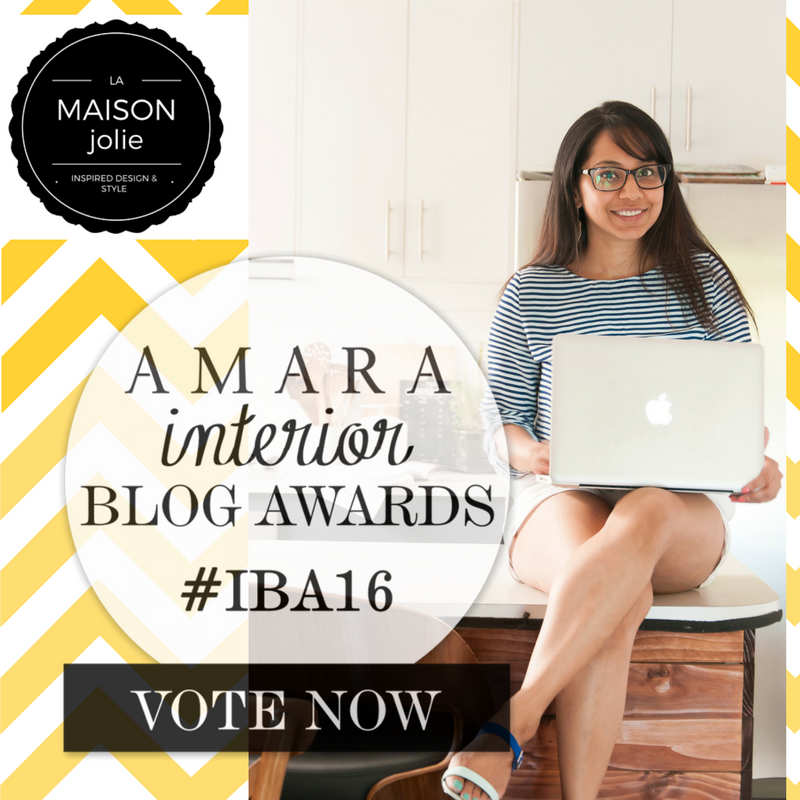 La Maison Jolie: Please Vote for La Maison Jolie in The AMARA INTERIOR BLOG AWARDS 2016! 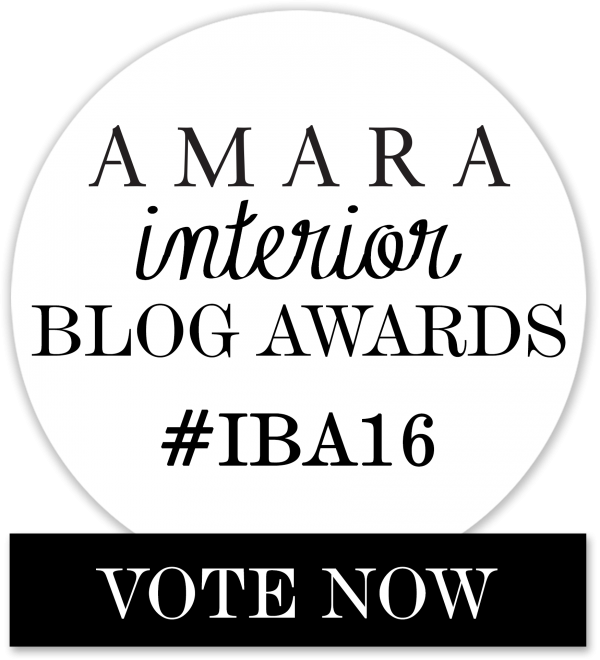 Please Vote for La Maison Jolie in The AMARA INTERIOR BLOG AWARDS 2016! I am so excited to announce that La Maison Jolie has been nominated for the AMARA INTERIOR BLOG AWARDS 2016 in The Best Australian Interior Blog category! I feel honoured and humbled standing alongside so many exceptional bloggers. It is such an amazing feeling to be nominated and recognised for the hours of work that I put into my passion. Last year La Maison Jolie made it all the way to the top five shortlisted blogs and that was such an honour. Hopefully this year we can do the same! I would love your vote & support since only the five blogs with the most votes will make it onto the shortlist for their category! And only the five nominees with the most votes in each category will go through to the judging panel and be in with a chance of winning. So to get behind us and show your support, please vote for La Maison Jolie by clicking on this link: http://www.interiorblogawards.com/vote/la-maison-jolie. It takes less than a minute to vote. All you need to do is enter your name and email address and click VOTE NOW. Voting closes on Friday 9th September 2016 and the shortlists will be announced shortly after! But it's not just the bloggers who could win a prize! 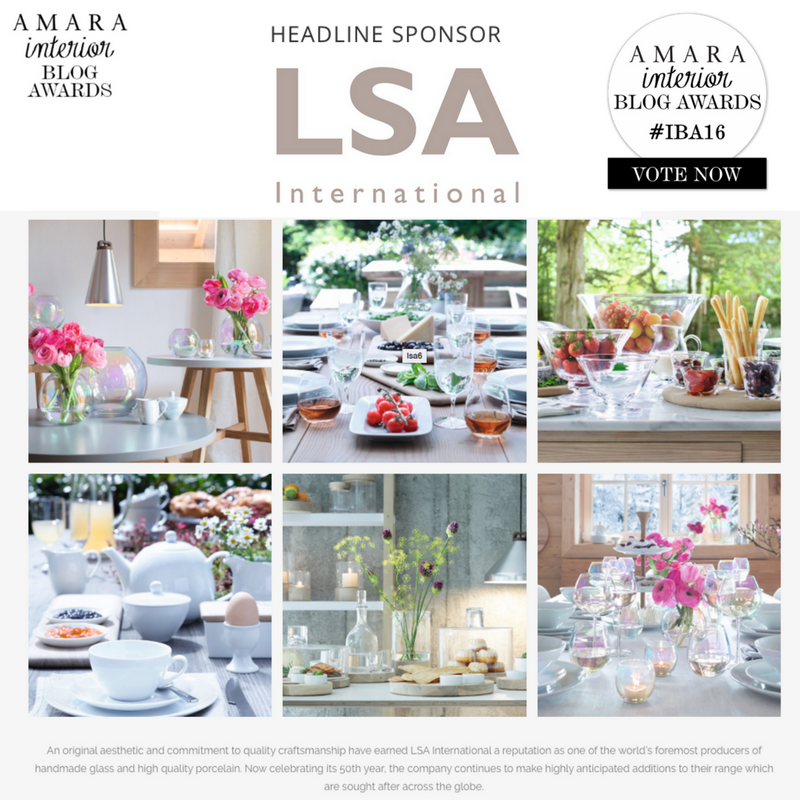 As a bonus, this year there is an exclusive voting prize thanks to the Amara Interior Blog Awards headline sponsor LSA International. Every person that votes for one of the blogs in the 2016 categories will be in with the chance of winning a £500 LSA International gift voucher to be spent across all of the brand’s extensive glassware, serve ware and barware! Simply click on the image below or here to start cast your vote now! Please don’t forget to share this post on your social media! Good luck to all fellow bloggers who have been nominated! Thank you to all my readers who have already voted for La Maison Jolie and thanks in advance for your vote! I am so grateful to you all and your readership and support is so appreciated!